We’ve got you covered In the smallest of spaces! Two of the most difficult production line problems faced can be finding the room and finding the budget for equipment to accurately place labels onto your product. These are Power House pieces of labeling equipment that can sit on a workbench top and get through serious production. See a video of the LabelOn™ Mini Synergy – Top Labeler in action hitting the mark Five times – one on top of the other! before we show its true function of providing tamper evident labeling. The LabelOn™ Mini “Synergy” Range is a significant step up from semi-automated labeling and a great first step towards a production line. This truly is the “Mini” of Labeling machines. Everything you would find in a larger machine and outgunning all competitor’s in this small footprint label machine arena as well as MANY larger footprint machines. IF you move forward with a LabelOn™ Mini Synergy you won’t look back as your operators will become familiar with mechanics and controls that are very similar to our full size production machines. Medical Marijuana (MMJ) is a rapidly growing industry and continues to look like an attractive option and a smart move for manufacturers to service. In fact, medical marijuana alone is expected to be a $40 billion industry by 2025, and could grow to $100 billion by 2050 if all 50 states legalize. MMJ products have moved way beyond simple prerolls – the industry now has products ranging from from edible medibles to health and beauty that have penetrated the market. With all that’s happening in this new pioneering gold rush we have the behind-the-scenes processes of product packaging to help make your products stand out on shelves at dispensaries. We also have compelling on pack promotional know how that puts the end user in contact with you and vice versa and we KNOW how to integrate this with your packaging. There are so many variables in place when it comes to packaging products you run into a whole host of complications at every stage of the project getting your product to market. Here at Adeneli we specialize in a concierge consultative type approach. Rather than dealing with multiple vendors, each providing a single aspect of your product packaging, our customer tailored Adeneli Packaging gallery gives you a single point of reference, ensuring your containers, labels, seals and other consumables work with your production line machinery. What we uniquely provide to our clients is our innovative flexibility and direct access to our partner network of industry experts and suppliers. We will even work directly with your existing preferred suppliers. Our expertise lies in automatic labeling applicators, the labels themselves and induction sealing our partners we introduce coordinate, filling, capping and other production line machinery in a cost-effective manner. Our primary consideration is always to bring forward efficiencies and issues you might not even be aware of and save you from wasting time and money with incompatibilities. With the ever shifting sands of what you need on your labels maybe you need the flexibility of on sight content printing onto your labels. Adeneli is a Silver Partner to Epson and has some unique Label solutions that can be integrated with or placed beside our labeling equipment. We can custom manufacture labeling and sealing equipment for unique packaging. Are your products packaged in glass containers? We are at the cutting edge of sealing your products in Glass. The newest addition to our product line is a breakthrough sealing material for capped and capless induction for Glass packaging! Go to the next level to make the ROI on your packaging truly pay for itself. Tribe Mobile is our on-package interactive promotional system allowing for small and large scale sweepstakes or feel good donations right off your packaging. Build sales with compelling and enticing campaigns and build your company book value with an active customer database. Adeneli is MMJ packaging friendly. No matter the stage of your current production we have years of experience in dealing with packaging solutions. 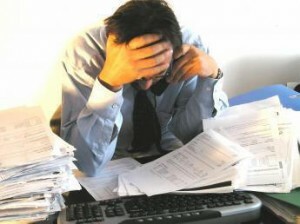 We understand every decision needs to be supported with an effective ROI return. We even have financing solutions available. With Glass you need to be more careful with product handling as glass breaks. Extra precautions include insuring there are no places where a build-up of product would result in an overflow of product that would fall off the machine. Glass products can “catch” on one another and cause jams. Pinch points can shatter glass where plastic will simply crumple. Some product handling can result in jams under just the wrong conditions because the glass jar will not budge in shape. Plastic and Glass products can have crappy labeling surfaces or inconsistent shapes and labeling surfaces. When dealing with round glass jars, we have found higher pressure of application along with softer application rollers produces better results where there are undulations on the surface. With Plastic bottles you don’t have the luxury of applying more pressure as the bottle will deform. In both plastic and glass, the best solution is to change supply and find good quality packaging where there is no labeling surface undulations. Adhesives will perform differently with Glass and Plastic. With clear labels there is a term called adhesive wet-out where small microbubbles, visible just after application, simply “go away”. 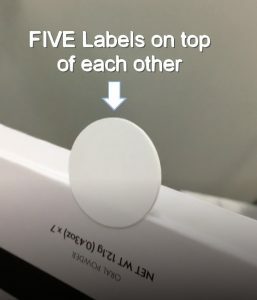 It’s a good idea to check with your label stock supplier if the adhesive on your labels is well matched to glass or plastic depending on the products you are labeling. In some cases, plastic containers will change shape or panel with different temperatures or with certain contents where gases are either produced or consumed within a sealed container. 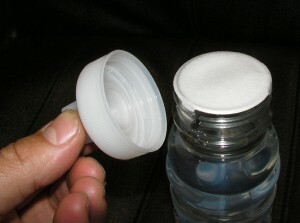 On a labeled container this can lead to creases or bubbles appearing after what looks like a smooth label application. Glass is very unlikely to have these types of issues. Plastic containers, compared to glass, are more likely to build up static electricity and this can affect label application and lead to bubbles or creases. In some cases plastic can give off a gas or even let gasses pass through its walls. This can create bubbles on what looks like a previously well labeled product. In most cases, if we have a representative sample of products to examine, and a short video of the current labeling process, we will be able to identify where the source of problem bubbles or creases is coming from. A key strength to our labeling machine supply is how we go about fault finding. For LabelOn™ when there is a problem, we treat it as an opportunity ; an opportunity for us to shine and show our clients how we pull clear from any other labeling equipment solution that is on offer. Like any machine behaviour that you are trying to understand, it is important to identify the various parameters and controls that can affect the process. These variables can then be examined in ISOLATION to see which one (or more) variables are causing the behaviour; then we work to get the behaviour we want. A good starting point is to carefully describe the behaviour and to identify ANY “known” changes of conditions / variables from the last time you were getting the behaviour you want. The next step is we then work with screen sharing and Video calls to help the client truly understand what is happening and how the variables identified and controls available can influence the machine behaviour. Using Video calls, phone calls, Screen sharing and our unique customer client Gallery, problems are identified, solutions are found and records are updated in a very efficient process. The basic premise we try to work with is having the client involved in finding and fixing the problem; in contrast to simply applying a mysterious service measure that somehow gets things going again. We know our equipment and make it our business to insure you know our equipment as well. We get approached all the time with one simple question: “How much?” This is no doubt a critical aspect when deciding on a larger purchase. But few realize the complexity that goes into determining the right combination of equipment, process, and consumables for specific production requirements. If we state the price of machinery and/or consumables without understanding your process, we have not done our due diligence and these clients then take on an enormous risk. With the advent of online shopping, people are getting accustomed to comparing items on the basis of “how much and when can I have it?” When it comes to big ticket items, or pinning your production capability on the purchase, this approach can be very costly. Having someone guide you efficiently through all the considerations through to your equipment and materials supply will usually save you a lot of headaches caused by machine down time, production losses, or simply incompatible packaging materials and machinery. For example, if you are someone wanting to induction seal your product, imagine how disappointing it would be for you to order your machine, wait to have it delivered, set it up in your facility, and then find that only a proportion of your products seal properly. Manufacturers who are new to automation tend to have the toughest time with this reality. 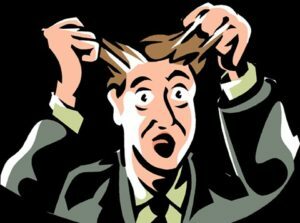 You can sense their frustration when all they were after was the price, but, then get “bombarded” with loads of questions about their containers, volumes, product, and growth projections. What they don’t realize is, without these answers, we are unable to provide the service and support we pride ourselves on. “I read the specs, I know this is what I need” comes up often. The specs are the basic settings and capabilities of the machine and tell you rather little about its suitability for your production parameters and operation considerations. The specifications do not tell you about where to look or what to expect in terms of packaging material tolerances, operator expectations, integration with other processes, what to do when things go wrong, machine serviceability, operator expertise required, most common mistakes, how to get operator assistance, nor do they cover similar applications that have worked or failed using this equipment. One Australian customer approached us amidst an induction sealing disaster. They had ordered an induction machine online without due diligence. The client thought it was a black and white case of you get a machine, some induction seals and operate the machine. After consulting with a SealerOn™ expert, they were provided with a safe machine with the correct set-up, product support, and proper consumables advice. This client was super appreciative. The equipment they purchased from us was 15 times the price of the “cheap machine” they found on some online store yet the client saved a lot of money. Talk with or chat online with one of our representative and let them help you pinpoint all the due diligence details that need to be taken into consideration for your manufacturing process. Allow them to serve your needs effectively, to save you time and trouble in the long run, and to ensure you are delighted with your next investment.